We are happy to announce our Skipper Training which will take place in Trogir, starting from 13th April 2019. Duration of the skipper training is 7 days. 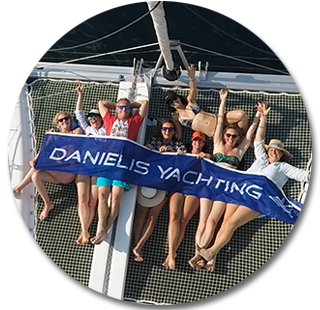 Danielis Yachting Skipper Training is known as the most economic and non-profit skipper training. We also have a lot of fun in our school, and we aim to provide a sense of adventure for our ‘students’ by cruising around the islands while the course takes place. This way future skippers get acquainted with ports, bays, marinas and local customs. It’s a week-long sailing journey. The course is intended to host a wide range of sailors, from absolute beginners to medium experienced who would like to brush and polish their skills, but also learn something new. We try to keep the basic knowledge of sailing and skippering available to everyone, and we encourage those who don’t necessarily want to work as a skipper to join us and work on their skills. That’s why we do not guarantee work, and we think any Skipper school, academy or training which does should be more expensive. However, every time we organize our skipper training we do get a few new talents, which tend to become great skippers in two to three years since the first touch with the boat. Our Skipper Trainings are practical courses, meaning that the attendants will live on the boat for a week, and cruise around the islands, while learning all the skills which will prepare them for the job. Our skipper training enables our attendants practical and theoretical skills of maneuvering and sailing, basics of skippers' responsibility and social skills, safety and rescue at sea, navigation skills and maritime rules, basics of meteorology and many tip and tricks proving your experience and competence as a skipper. 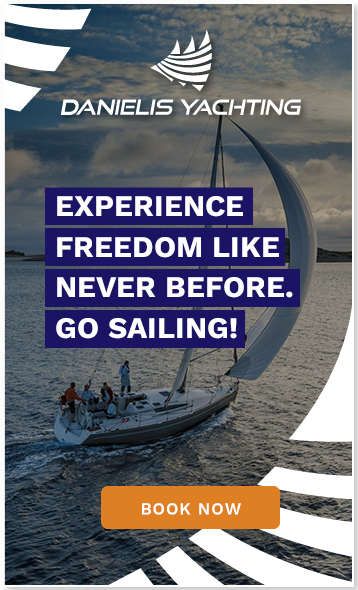 Experience - If you already have experience in navigation or sailing and want to upgrade your skills, our skipper course is the right place to be, proving your knowledge in maneuvering and sailing. Getting Your Sailing Licence -Within our skipper school everybody who wants to acquire Croatian boat skipper license category C (for commercial use) (or Croatian boat skipper license category B (for private use), we are organizing a 3-day theoretical course and exam with Croatian Port Authority (Lučka Kapetanija). Find your first job - After the skipper school, all of you who want to work as a professional skipper and become a part of a nautical family will get directions and tips from us on how to gather more experience by cooperating with our partners, colleagues and competition. 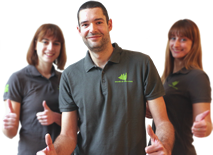 Of course, those of you who show us that they are ready for the job might get a job with us soon, already this summer. Additional costs for fuel, food, and drinks and port fees shall be shared among participants. For that purpose, all participants should be ready to participate in common costs with 750,00 HRK per week. If additional costs are bigger than that amount, they will be shared on the spot, among participants.